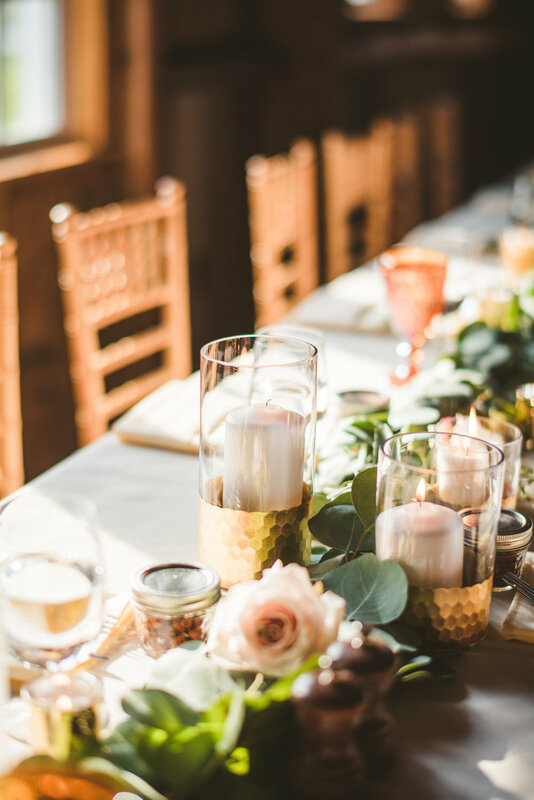 So many beautiful things to rave about - Sarah and Dave’s gorgeous autumn wedding at Zingerman’s Cornman Farms with so many special details captured beautifully by Nicole Haley Photography, planning by fantastic Melissa Marie Events. 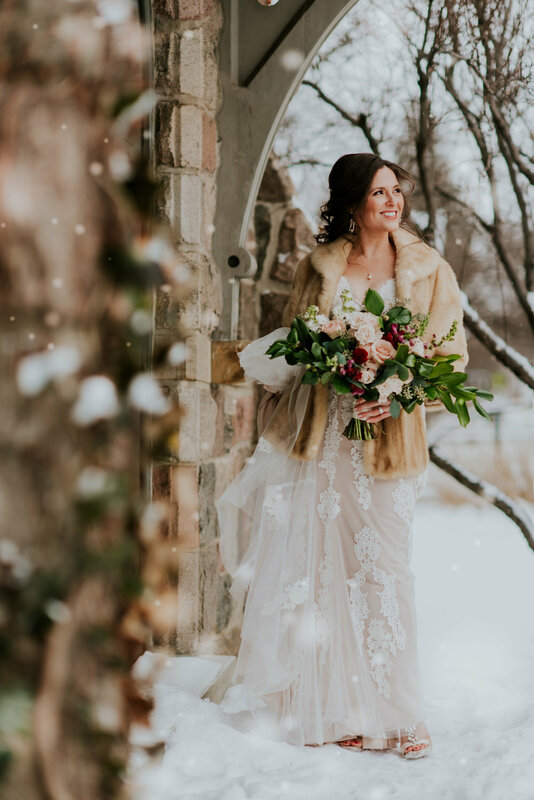 Everything about this one felt so warm and joyful, and I truly loved planning the details with Sarah. 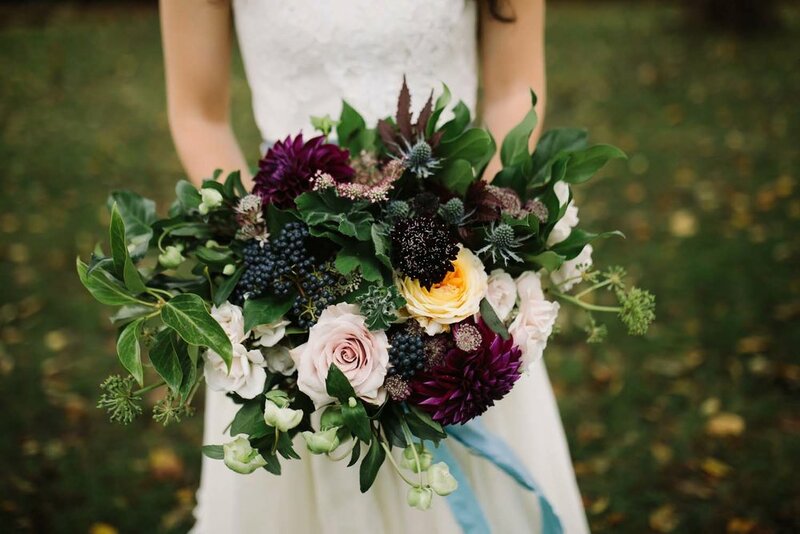 Such a beautiful palette of soft blues with burgundy, blush, pale gold, ivory and navy berries, with special touches of green hellebore and fresh herbs. 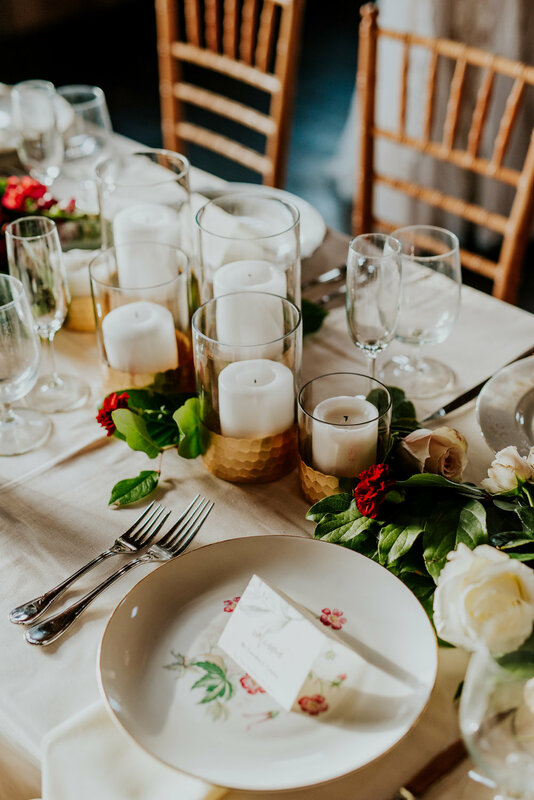 The head table was adorned with lush green smilax foliage and candles with a warm glow. Thank you Sarah and Dave - it was a complete joy to be a part of your celebration! 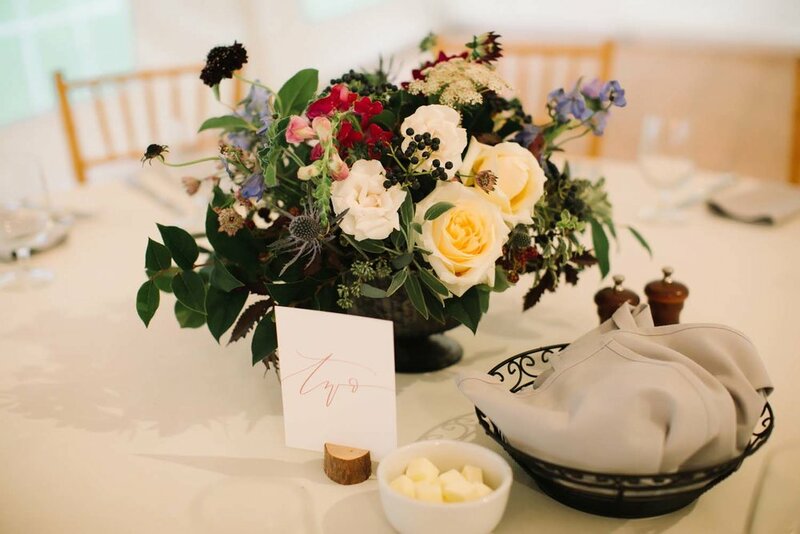 So many lovely details for Katherine and Sharon’s wedding at Zingerman’s Cornman Farms, all captured so beautifully by Amanda Dumouchelle. 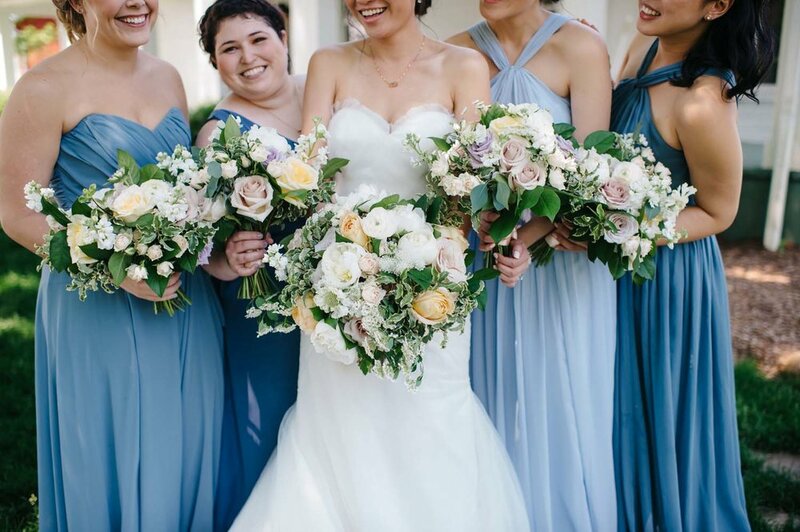 Loved their floral chuppah, their chinoiserie, lush florals with lots of greens and a palette of pale tones - lavender, whites, blush, champagne, pale gold to go with slate and steel blue bridesmaids dresses. This early summer mix included peonies, garden roses, scabiosa, spirea, hellebore, astrantia. 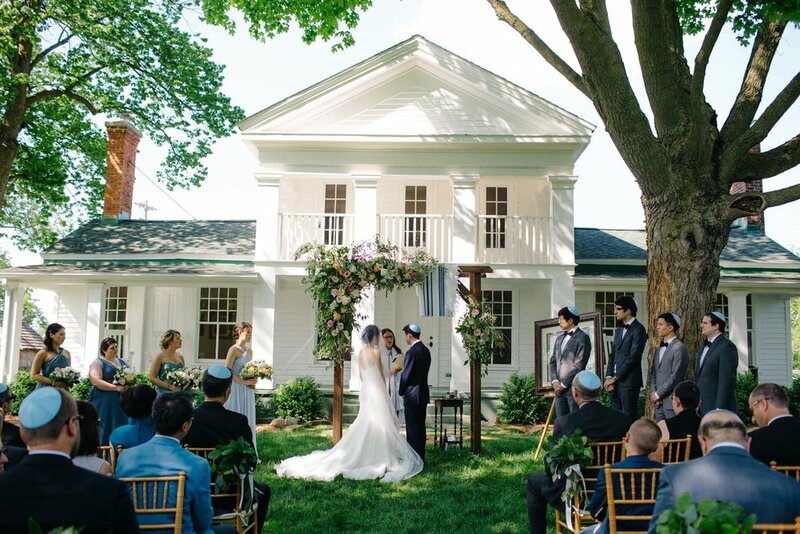 Chelsea and Jake's summer Cornman Farms wedding was beautiful, natural, joyful - lots of lush green foliage, natural textures, and dahlias! Oh these dahlias! - in ivory, champagne, blush - dahlias dahlias everywhere! The ceremony arch with green foliages and floral accents of dahlias was just perfectly seasonal and soft. 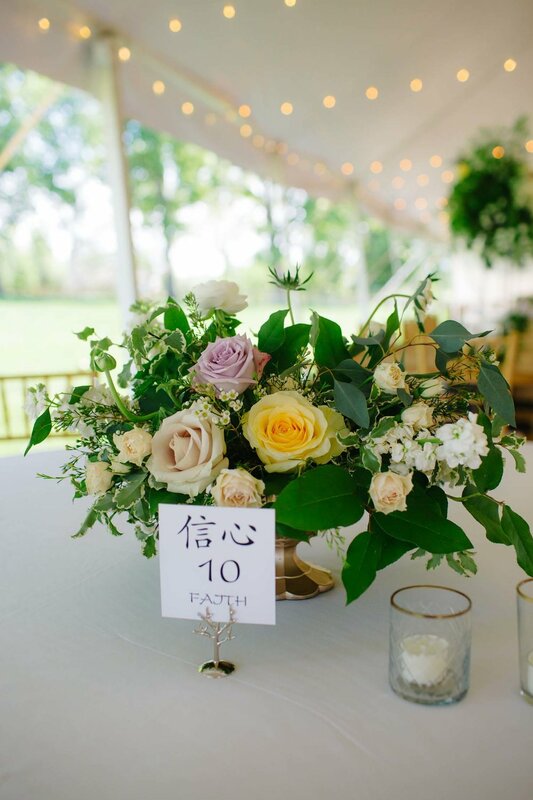 And for the table centerpieces the greenery was again the star - we modified the look of a foliage garland and made it into a ring with flower clusters accenting and pillar candles in the center with gold accents. It was such a joy to meet Chelsea on her wedding day. Planning from California, we didn't get to meet in person until her wedding morning, and it's always really special to meet those brides for the first time at such a special time. 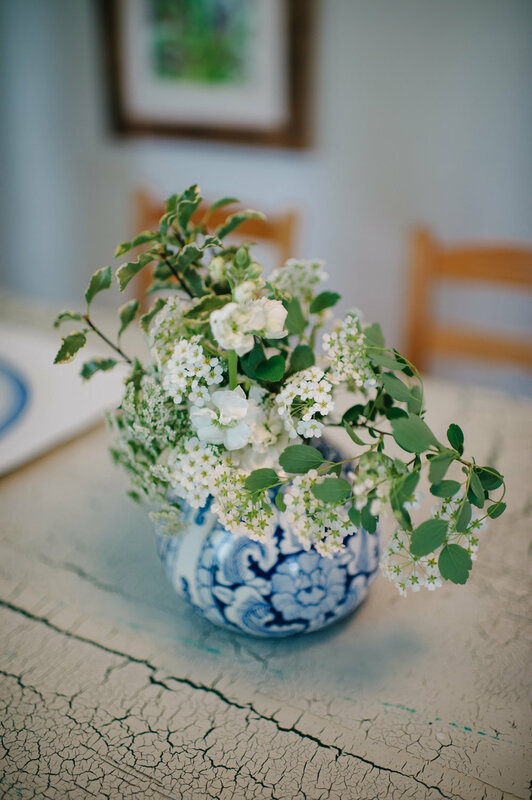 All these gorgeous images from Ryan Inman - ryaninman.com - thank you so much for sharing these! Congratulations Chelsea and Jake! The fireplace at Zingerman's Cornman Farms is just perfect! So cozy and inviting and special - perfect for an intimate winter wedding. And Sally and Dylan's December wedding was just so joyful and cozy, warm and beautiful. I was so excited to meet Sally for the first time on her wedding day! 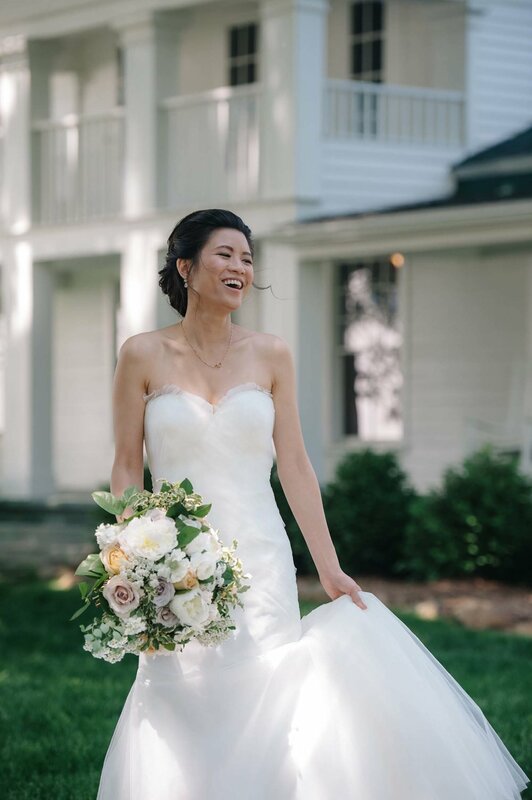 Coming from Washington DC, they had been planning from out of town and I think it's always extra special to meet the bride on her wedding morning, handing her her bouquet! My cell phone rang as I drove away after setting up, sneaking out just as the couple were arriving at the reception, and it was Sally calling to tell me how she loved the reception flowers - it was exactly what she envisioned - and I was just so thrilled - it always means so much to be me know that the flowers were loved and I was especially excited to get that call right away! So much gratitude to Kate Touzel for sharing these beautiful images - thank you, these are stunning! I just loved starting off 2017 with Becca and Marc's wedding flowers. 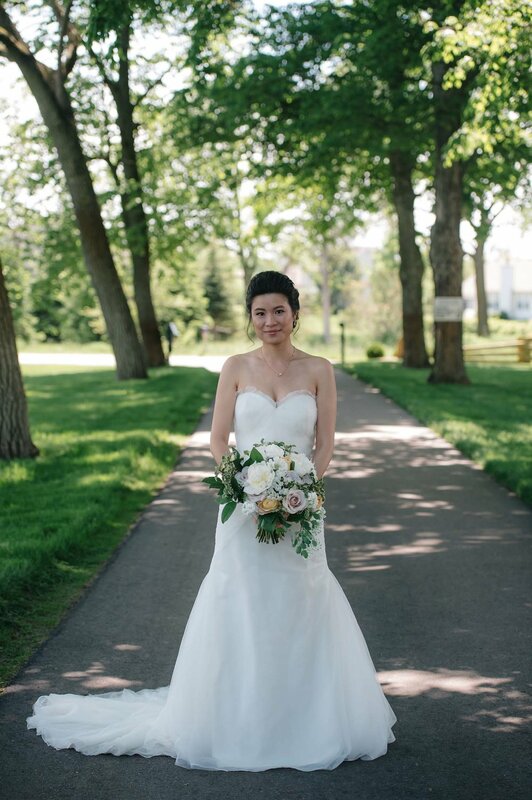 I loved creating these natural, elegant, classic bouquets for their celebration at Zingerman's Cornman Farms. 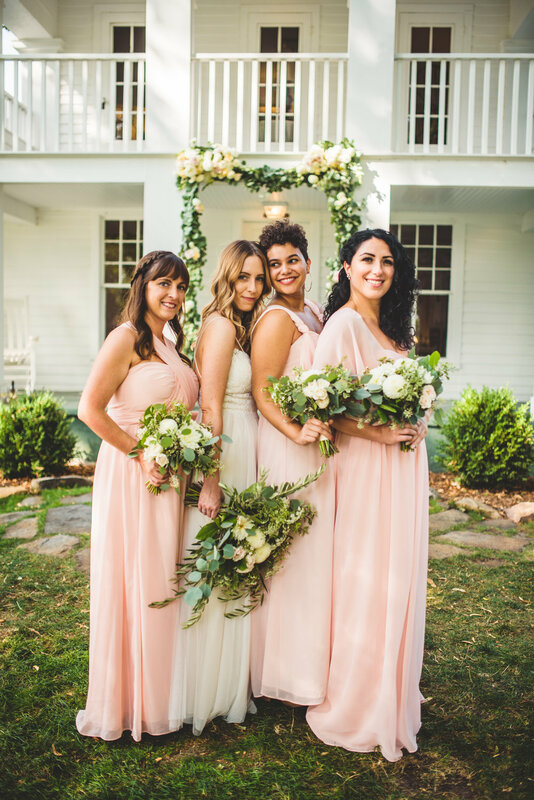 I'm so excited to share these gorgeous photos with you from Lola Grace Photography - they just sing with sophistication and warmth and joy. Congratulations Becca and Marc! And this last one has no flowers in it, but how gorgeous! 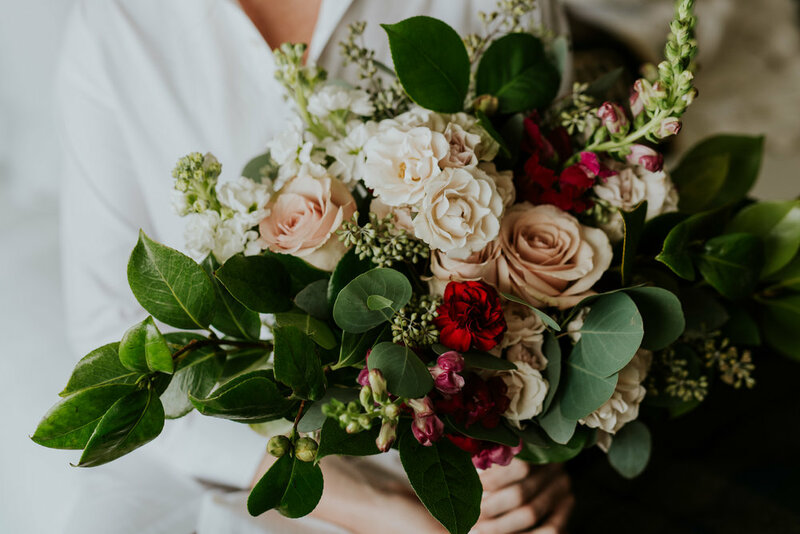 Beautifully done, Lola Grace Photography!